Fabian Tan of Fabian Tan Architect discovered art and architecture as forms of expression at a young age. “I had an interest in art when I was young. I wasn’t great at it but I liked to draw and doodle. I nearly went into graphic or fashion design but my dad, an architect, talked me out of it. In university, I enjoyed expressing my ideas through architectural design,” he tells City & Country in an exclusive email interview. 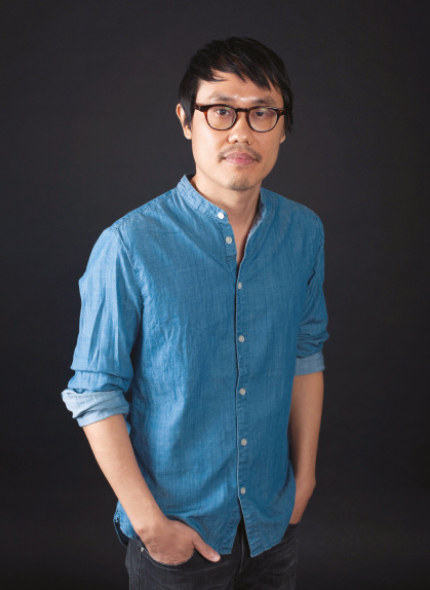 Tan has taken part in art exhibitions and busies himself with installations and furniture design. He graduated from the University of South Australia in 1997 with a Bachelor of Architecture and worked in several architectural firms in Kuala Lumpur and Melbourne, specialising in residential, university and interior projects, before he started his Kuala Lumpur-based practice in 2008, focusing on residential projects. “It was probably the scariest decision of my life ... but I quit my cushy job and dove into the unknown,” he says. Le Mon House was Tan’s first project, which he focused on for a year. Located in Taman Tun Dr Ismail, Kuala Lumpur, the building is a 1½-storey, 1,900 sq ft terraced house. “The design was meant to be quite simple but it became a more extensive project as the mother and daughter owners were very receptive to new ideas,” says Tan. The architecture of Le Mon House was inspired by the Japanese ideals of detail and restraint expressed through light and material to form the purity of space. “Almost all the details were construed through reasoning more than mere aesthetic play,” says Tan. The dominant feature of the house is its red “monster” door façade, a homage to large Chinese temple doors. Made of thin metal slats that form a screen, the door has another door within made of coloured plastic panels. “The inner door can be opened for additional light and ventilation,” says Tan. To highlight the owners’ extensive collection of Chinese antiques, a minimalist design was used with an open and linear concept for the main living areas on the ground floor. Their desire not to have curtains and an emphasis on security and privacy were fulfilled through the creation of a pivoting sculptural glass window, which integrates the grille and window, as well as the rows of concrete columns, to ensure privacy for the interior spaces and facilitate ventilation and allow light into the bedrooms, bathrooms and kitchen. A central courtyard was incorporated to connect the spaces and provide natural illumination, while the living area was raised to give a visual expansion from the ground floor to the first floor. Above the living room is a “secret garden” that has views of the surrounding forest and hills. One of Tan’s most adventurous projects is Voila House in Kuala Lumpur. 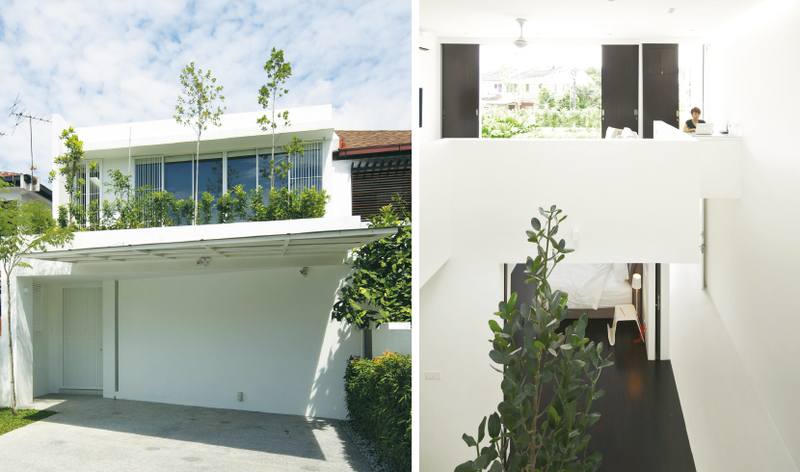 The brief was to transform the 475 sq m, typical pitched-roof bungalow into a contemporary home. According to him, he first drew the living room windows as a square box but after much thought decided to design a three-part, tall revolving cylindrical door. “So, if I slide two panels into one, I would get an unhindered 240° view that opens the living space to the garden and trees. When closed, it provides a secure and shaded screen with windows for ventilation. “The client was very sceptical about whether this could work but I managed to convince him, though I had to sacrifice other parts of the house to accommodate this design. I was lucky to be able to create this large revolving door as it had not been done at that time,” he says. As for Voila House’s interior spaces, Tan extended the upstairs bedrooms and focused on redesigning the ground floor by disassembling walls and creating open-plan spaces. U shape and placed private rooms and the kitchen on the other side of the house. 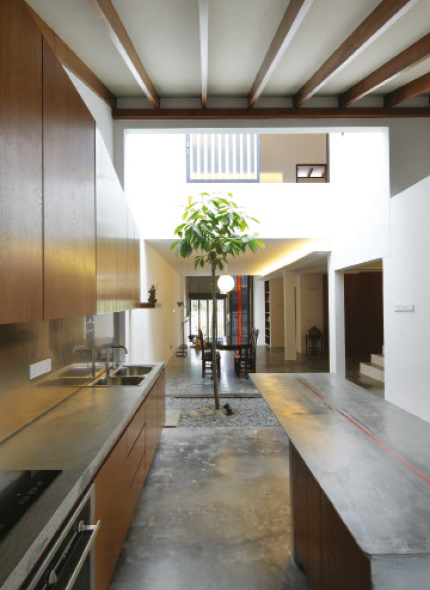 At Ittka House in Petaling Jaya, Tan was able to challenge the topography of a typical terraced house by inverting its spaces due to the limitations of the site, making this his most memorable project. 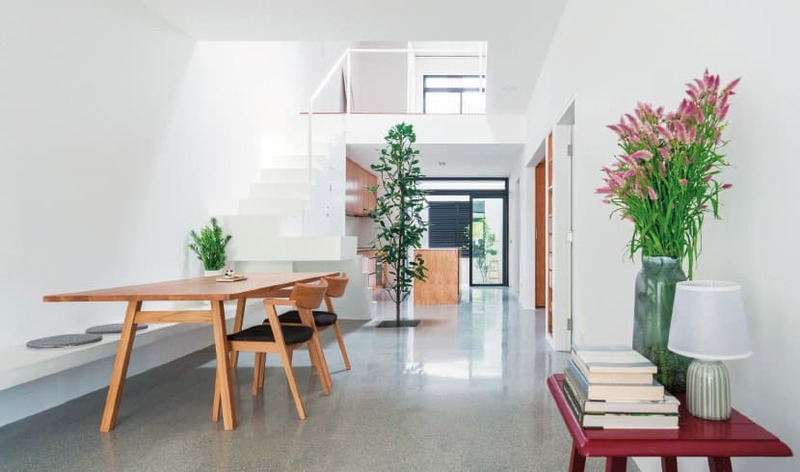 “A [regular] 2-storey terraced house of 24ft by 85ft has the living spaces on the ground floor and you walk to a staircase that takes you into a corridor or family area that links the passage to the bedrooms. “I inverted the spaces to place the double-volume corridor on the ground floor, which acts as the main circulation space connecting the first floor living space and the ground floor bedrooms. With this layout, I could fit four bedrooms with four naturally ventilated en suite bathrooms,” he continues. Large sliding doors were incorporated into the bedrooms to create shifts of privacy and openness when required, with a tree in a courtyard the focal point from the rooms. At the main corridor, a 6m-high door opens to a private garden, while the living room opens to a roof garden that enjoys privacy from the street level. Tan chose basic material finishes to create a calm space defined purely by volume, depth and light. 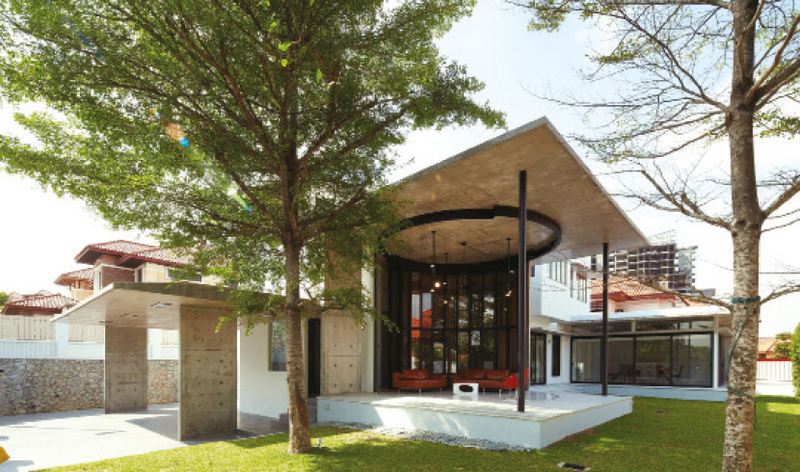 He says his Jose House project in Petaling Jaya has garnered more attention than all his other residential designs, particularly on social media. The design was inspired by a grandmother’s love for nature, and the architect harmonised the house’s linear spatial qualities to create frames of view, light and plants. 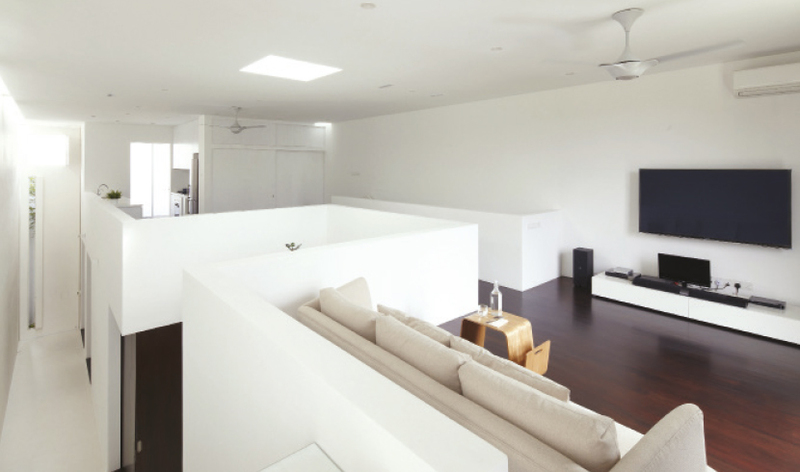 The brief for Jose House, a typical 1-storey house on a 23ft by 75ft plot, was to create an open plan on one side of a dividing central wall and private rooms on the other. With a restricted budget, Tan used the existing structure as much as he could, with the addition of a half loft floor that was originally the floor slab for an old water tank. The roof’s timber supports were left untouched and the scale of the building was maintained to complement neighbouring houses. 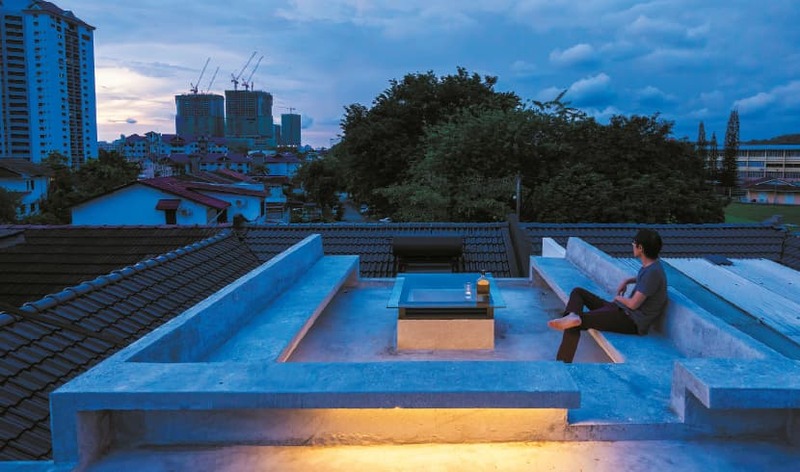 The result is a roof viewing deck, unseen from the street, which can be used as a cosy hang-out area at night. It has U-shaped concrete seats with a glass table that also lets light into the house. He says he exercises restraint in his designs so a building can function with its form. “There are reasons why a certain pattern is done or how a window filters light into a building. I always find myself distilling design to a point of balance between beauty and function. “I like to create spaces that have a subtle beauty that are also mysterious. A space that when you walk into it cannot be immediately described as special until you experience the space, a space that cannot be easily described in photos,” he adds. With his diverse experience, Tan hopes to one day design public spaces, including small religious places.